How is art taught today? What do we mean by experimental teaching? This panel addresses what happens in studios and classrooms, the parameters within which experimental teaching takes place. Moderator art historian Howard Singerman is joined by independent artist Anna Craycroft and artist and writer Mira Schor. 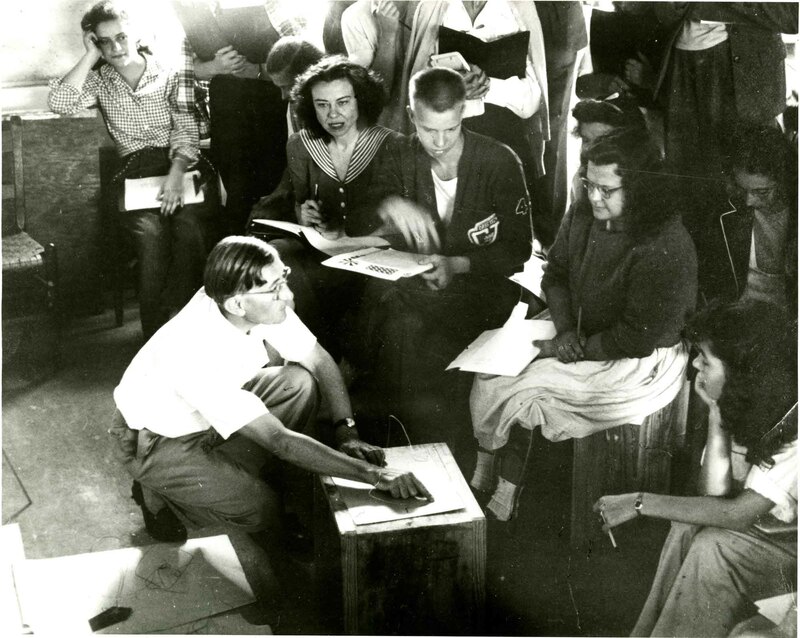 Josef Albers’s color-theory class with Hazel Larsen Archer, n.d.